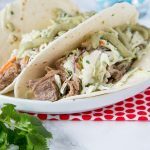 Slow Cooker Pork Carnitas Tacos – Pork that has been cooked in the crock pot in citrus and spices, and then used for tacos. 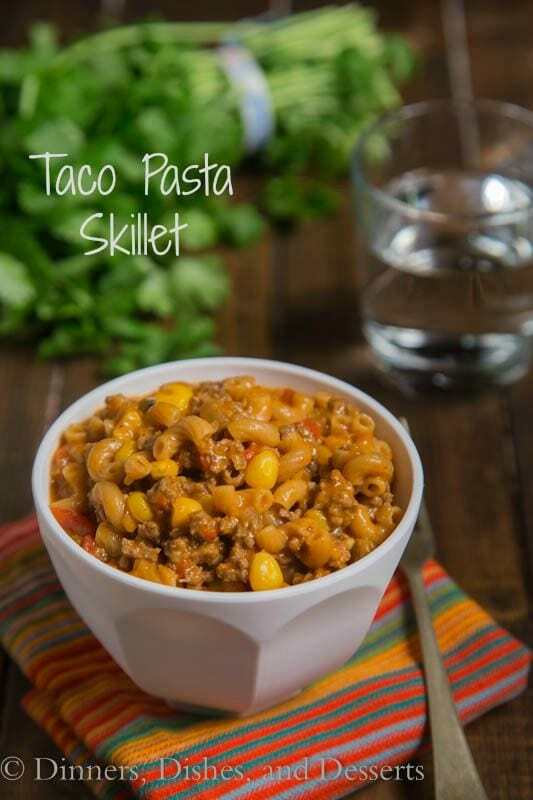 So easy, and so much flavor! I know a lot of you are parents out there, so I want to see what you think about something. My son did Jump Rope for Heart at school. Great cause, raising money for the American Heart Association. I was getting the forms and money all ready to send to school, and my 9 year old tells me he wants to donate some of his money. I tell him that is great, and ask how much he was thinking. He tells me he wants to give $25. Keep in mind, I think the kid has saved up for about a year and has $100, so this is a giant chunk of his money. I try to tell him that is too much, and he needs to save more of his money. I want to teach my son about giving to others and good causes, but I also have to teach him about being able to have the money to buy things you need for yourself. After a very lengthy discussion we settled on $10 (note 2 days prior he donated $5 to a coin drive for the homeless). Thoughts? 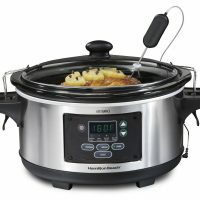 I kind of love using my slow cooker. I do not use it nearly enough though. Every time I get it out, I tell myself I need to do this more often. 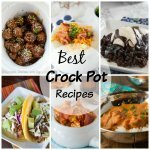 Honestly, my crock pot lives in the back corner of my pantry. I have other stuff piled on top of it, so it is kind of a pain to get out. Not a good excuse. but just keeping it honest here. I am hoping that with this kitchen remodel it will mean that I can have a better spot to store it, so I will use it more. 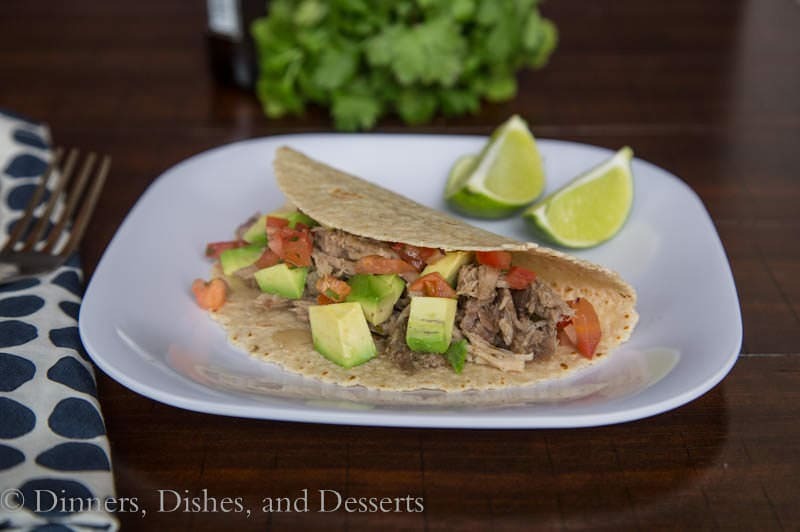 It is great to make a large batch of something like these pork carnitas. Then you can save the leftovers for another day! 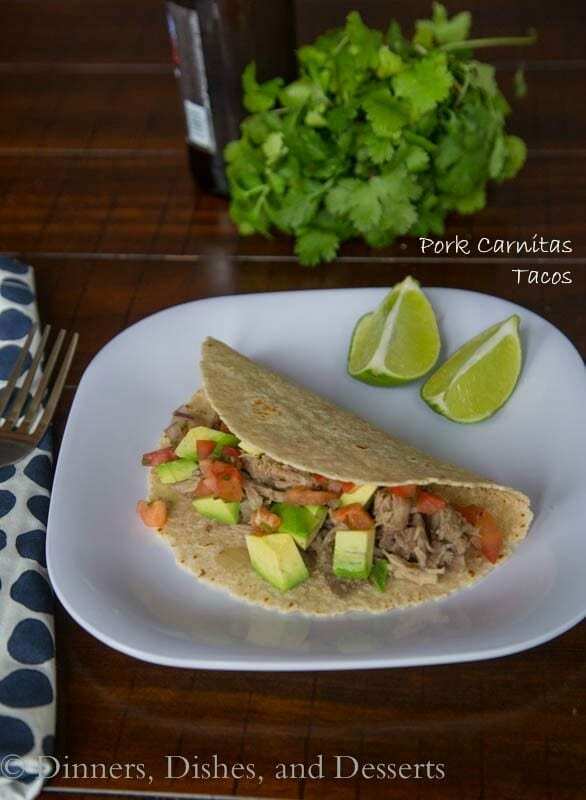 I currently have these pork carnitas sitting in my freezer to thaw for another night. 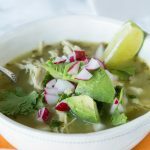 I am a sucker for just about any kind of Mexican. 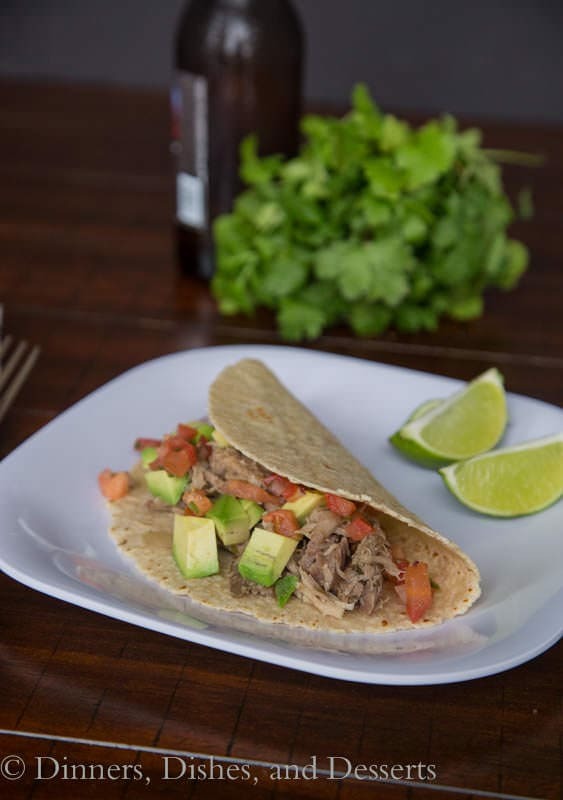 These pork carnitas tacos were no exception. 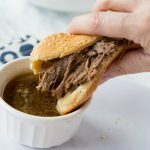 I put the pork shoulder and all of the spices in the crock pot in the morning. I had to suffer through the smell all day (downfall to working from home), and when dinner came all I had to do was chop up a few veggies and warm up some tortillas. You can not get any simpler than that. 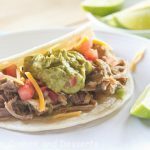 Tacos are so nice for a quick dinner, because everyone can top with their favorites. No one complains about not liking something, and everyone is happy. 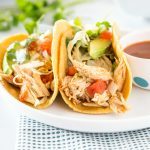 Slow Cooker Pork Carnitas Tacos - Pork that has been cooked in the crock pot in citrus and spices, and then used for tacos. 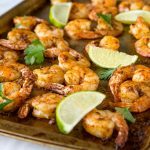 So easy, and so much flavor! 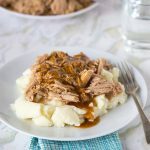 Place pork shoulder in the slow cooker. Season with salt and pepper. Drizzle olive oil over the pork. Sprinkle oregano and cumin evenly over pork, and use hands to gently rub into the meat. Cover and set on low for 7-8 hours. 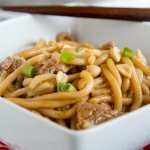 Use forks to shred meat. It should shred very easily if it has been cooked long enough. 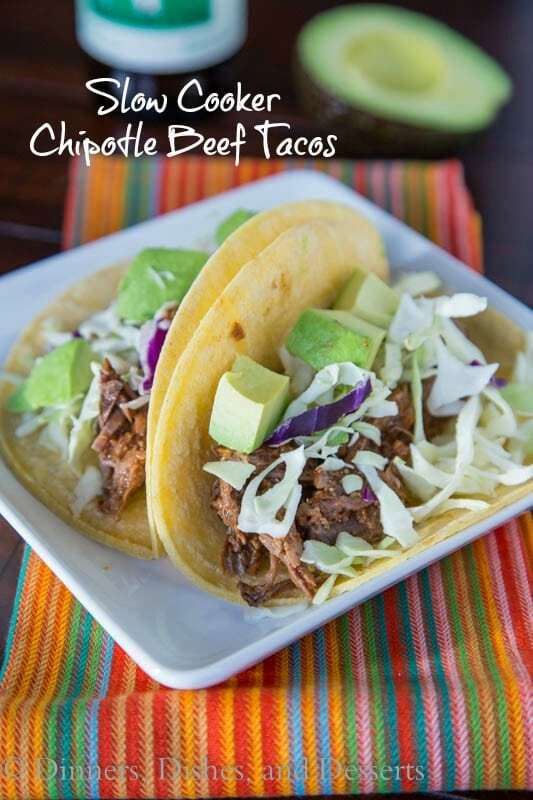 Use meat as you would for tacos. Nutrition Disclaimer: All information presented on this site is intended for informational purposes only. 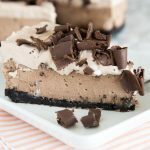 I am not a certified nutritionist and any nutritional information shared on dinnersdishesanddesserts.com should only be used as a general guideline. 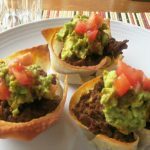 Want even more Mexican dinner ideas? 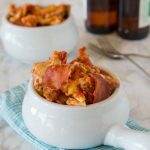 Be sure to browse through my Recipe Index for even more Dinner Ideas. 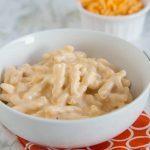 And follow along on Pinterest, where I am always sharing new recipes. Oh my, great flavors and textures. 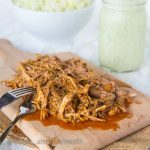 My husband would probably eat the pork shoulder. 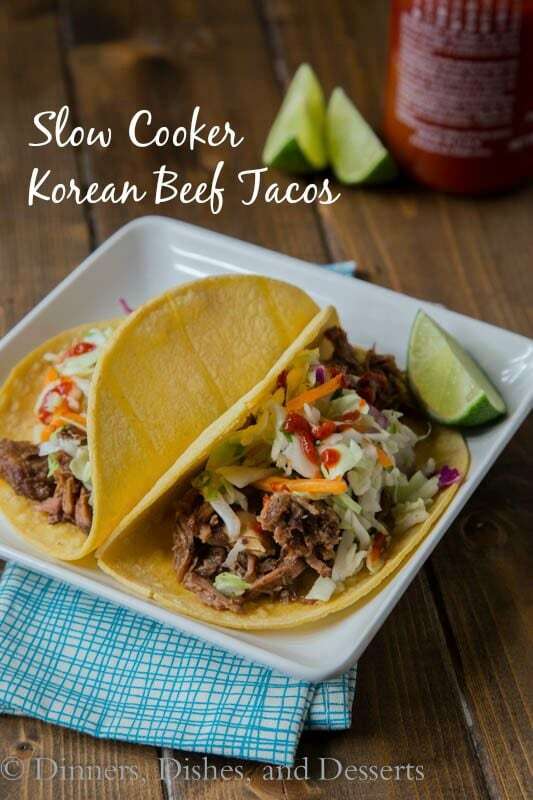 These look great, and so simple! Perfect for after a long day at work! Also, how sweet of your son. I think $10 is a good amount and is still contributing to a good cause! 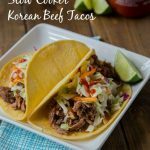 Slow cooker taco night is my favorite kind of taco night!